I have two 11 watts CFL lamps with two pins and a 40 watts electronic Ballast with 4 pins in one end and two at other. Need help connectind these. Need Diagrams, schematics, pictures, anything you guys help me with. I also have a old SMPS from my old PC. Had heard somewhere that CFL can be run from SMPS. Is this true? Not sure if you can connect ballast with the CFLs( 220V,50Hz AC). Please share specifications of the CFLs you have. I suggest you should directly conenct the two CFLs in parallel and connect it to the mains if they are of the rating mentioned above. The CFL's are Havells - 11 watts cool daylight 6500k. This is the only info I have on them. It has two pins on the end. I tried, they dint glow. Only one glowed, wish I knew some electrical stuff. They have inbuilt starter. 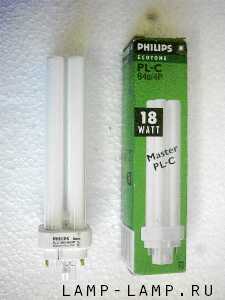 You will be well off buying one bigger CFL instead, both for efficiency and troubles point. Else one choke for each is recommended. Post some pictures of the stuff you have. It will be easier to answer that way. If you have CFLs, they will run off normal bulb holders, no ballast will be required. yes please post the pictures, it will be easy to guess.. Some time back i used 18W ballast to light 1 two feet tube light. It went on for some time and one fine day it just stopped. I could not dig for the reasons. The only thing i found was that the ballast was for CFLs only. this can be done by removing the cap at the connecting end of the cfl. inside it u'll find that the cfl has 4 pins two going to the outer connecting terminal and two connected to a capacitor (pf) or a stater like thing. for connecting it to the electronic balast u can remove the starter and connecting the terminals to the balast. you have mentioned that its the 40W ballast, i will not recomend it for a 11W cfl though. Is it only for single or any ideas for double CFL? meaning 11+11 or 11+11+11? attached are the Pics. Sorry for the bad quality. was using my cellphone camera. Wife took the Camera to mangalore. The Box has CFL written on it. I m not sure this is PLL or CFL. how do we tell the difference? It is a PLL. PLL has a separate ballast(choke is another name for it, i think) where as CFL setup comes fitted wid it. The voluminous base of the CFL is the ballast. Sorry, cant help you with the connection! One will glow for sure, let us know if its working for both. Not sure if the starter will cause any issue. Doesn't work with the starter. I removed the starter and connected one of the PLL (its a PL-C) lamps to the ballast directly. It worked. Then I tried it with the other (singly). That too worked. But when I tried to connect the lamp's in a series and connected to to the ballast, it does not work. Any Idea what I am doing wrong here?